When he arrived at Bascharage the first time, the future brewer of the Beierhaascht did not believe his eyes. The brewery which he was called to work at was still a big gasping hole in the ground! Everything was to be done and the challenge was all the more beautiful to meet. Others would have given up, not him. He started to imagine his recipes and thought that he had gotten a chance, which we Don’t get twice in a lifetime . He had received job offers from other breweries, but if he would have chosen one of an exisiting brewery, he would Simply have continued to brew what already existed. The desire to create was stronger. The opportunity was too good. Especially, as he explains that “here, I was given white card from the beginning and the confidence was established quickly, with the Meyer family. I knew the brewing world but I was really alone to start everything. And even though my employers were butchers, not brewers, they gave me maximum support. For raw materials, I was able to buy what is needed to get a quality product and choose my own suppliers. Our goal was quality first, same as for the hams produced by the Meyer family. From the test of the first brew that we tasted, we found that it was good. We had the obligation to be good but without trying to copy other beers. For having worked in almost all other Luxembourg breweries, I have not in any way tried to copy, but rather to create new, working on the bitterness of all our beers. Because we know that our customers like beer which is a bit bitter. We started with a blonde and a brunette. Then there was amber, which was at first a seasonal beer. The first year, we also released a “beer with wheat” for the summer. Amber landed from autumn. Then appeared the winter beer. All the years that followed, we produced these 5 varieties but not permanently. 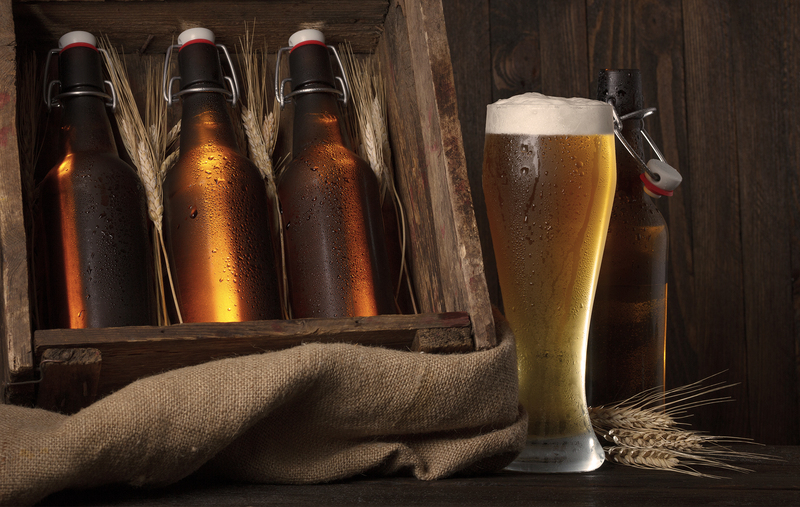 Currently, our production is about 42 brews of 15 hectoliters or 630 hectoliters all brews combined. If the on-site sale is the largest, we start to be present in supermarkets, gas stations … Which suggests that production should increase significantly. Our newest achievement is that we have officially protected the label “Lëtzebéier” in 2018.